Each studio is both modern and designed to reveal the buildings' sixteenth century architecture. Each one comprises an open space with views of the main square, or side streets. There is a two meter long kitchen in each studio, powerful air-conditioning units, TV, and beds that can be arranged as you wish. The bathrooms are large and modern. A large attic duplex studio apartment with a direct view over the 'Stradun', and 'Sveti Vlaho' Church. You can watch concerts and plays from your windows. Size: 60m2 internal stair case 2 beds + 2 additional bathroom, kitchen, air-conditioning, TV. 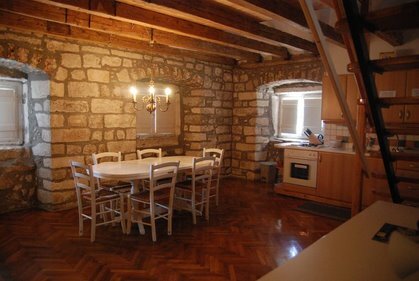 Quiet studio apartment with a view on the side street of Kovačka. 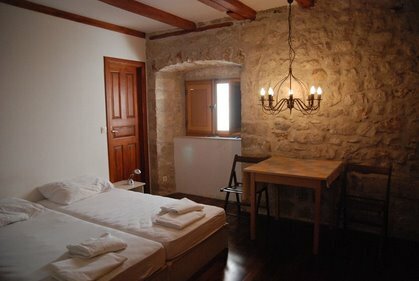 Size: 30m2 2 beds + 1 additional bed possible bathroom, kitchen facility, air-conditioning, TV. Apartment Baldo can be connected with Apartment Antonio or Apartment Francesco to form a larger apartment complex (6 + 4 add. 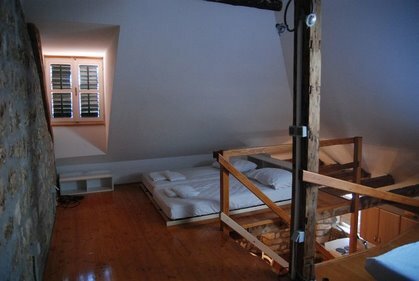 beds total). 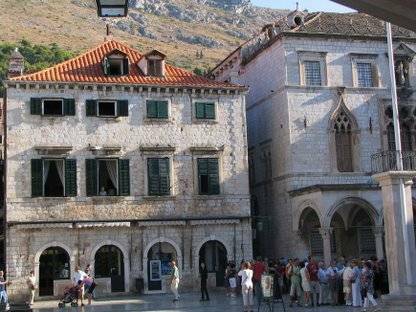 The Palazzo lies in the very heart of Dubrovnik in the Stradun, the town's central square facing St. Vlaho 's church and the Orlando monument. 100 meters from main local bus station Pile gate. From main bus station and main Port to Pile take local bus number 1a or 1b ( 10 minutes drive ). From airport you need 30 minutes drive to main bus station and then again with local bus 1a or 1b.